In his first year as President, Donald Trump represented a clear break in style and substance from his predecessor, Barack Obama – and from many of the chief executives who came before them. The businessman-turned-politician upended Washington with unrestrained rhetoric and an “America First” agenda. Included in that agenda – renegotiating international trade pacts, withdrawing from a worldwide climate change agreement and curtailing immigration into the United States. And, becoming a lightning rod for public opinion. At home and abroad, the public reacted strongly to the White House’s new occupant and his policies. 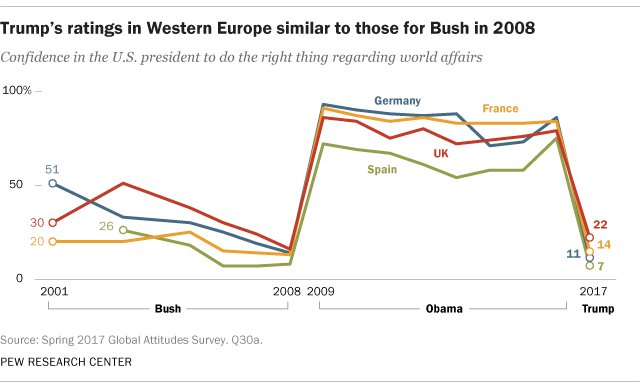 Confidence in the U.S. President plummeted in many countries, particularly in Western Europe, while opinions of America itself also declined sharply. In the U.S., already-wide partisan gaps on fundamental political values grew even wider. A fraught relationship between Trump and the press drew frequent attention. Large majorities saw it as unhealthy, an impediment to Americans’ ability to access important political news. As the country began to adjust to this new era, substantial shares in both parties – particularly women – said they were paying more attention to politics since Trump’s election. Undo Obama-era policies from the 2010 health care overhaul. Revisit DACA, a program that shielded nearly 800,000 young illegal immigrants from deportation. Republicans were buoyed by the arrival of the first GOP President in eight years and cheered his successful nomination of Neil Gorsuch to the Supreme Court. Some GOP members of Congress found themselves at odds with an unconventional and outspoken chief executive of their own party. However, Republicans came together and achieved a major legislative victory at year’s end by overhauling the federal tax code. Beyond the shifts in policy and approach that marked the transition between presidential administrations, the year revealed other important trends shaping American society. Allegations of sexual misconduct against powerful men in entertainment, media and politics captivated public opinion. From Hollywood producer Harvey Weinstein to morning news anchor Matt Lauer to the longest-serving member of Congress, John Conyers and more. Widespread attention was paid to the issues of sexual harassment, gender discrimination and gender equality. 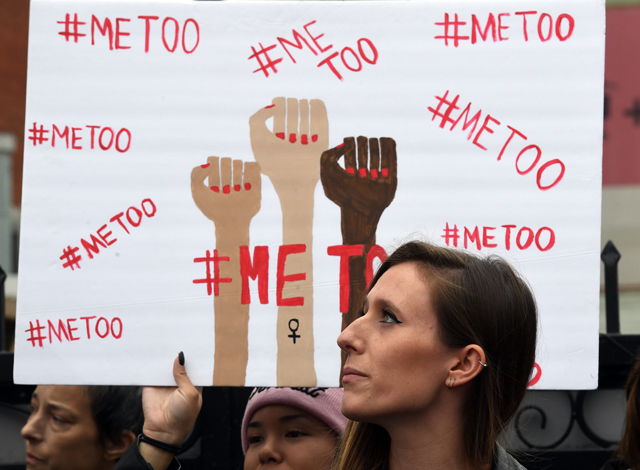 The #MeToo campaign, which spread rapidly on Twitter and Facebook, prompted women around the country to share their personal experiences with sexual misconduct. When Time magazine selected its “Person of the Year” in December, the winner was not one person, but the broad range of people who came forward. The Silence Breakers. Pew Research Center surveys underscored the breadth of these experiences, as well as the public’s attitudes toward them. In a poll conducted in early fall, about four-in-ten U.S. women said they had personally experienced gender discrimination or been treated unfairly because of their gender. Nearly six-in-ten women said the country hasn’t gone far enough when it comes to giving women equal rights with men. In a separate survey, many employed women reported an array of experiences with gender discrimination at work, ranging from earning less than a man for doing the same job to being treated as if they were not competent. Racial issues continued to draw national attention. The removal of Confederate statues by local governments became a flashpoint. In August, a white nationalist rally in Charlottesville, Virginia, led to violent clashes in the streets, including the death of one person when a car sped into a crowd of counterprotesters. Discussions of race extended to other venues as well. When the NFL season began, some players protested perceived racial injustice by kneeling during the national anthem. That provoked anger among those who saw the protests as disrespectful. President Trump was among those who criticized the players. The public expressed rising concern about race relations. 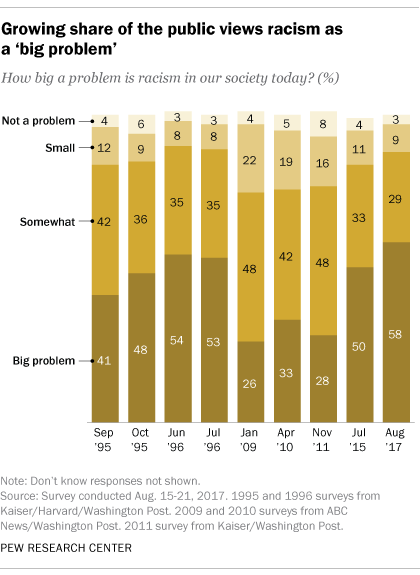 In an August survey conducted shortly after the violence in Charlottesville, nearly six-in-ten Americans said they viewed racism as a big problem in U.S. society. That is roughly double the share who held this view in Jan. ’09 when Barack Obama took office or in Nov. ’11 when he was reelected. The was positive news, at least economically. The national unemployment rate fell to 4.1% in October and November, the lowest level since 2000. The Dow Jones industrial average, which broke 20,000 points in January for the first time ever, soared to we’ll over 24,000 points by the end of the year. Americans’ evaluations of the economy also improved: About four-in-ten rated national economic conditions as “excellent” or “good,” the highest share in a decade. However, views tended to be colored by the public’s party affiliations, with a surge in Republican optimism driving much of the overall increase in economic positivity. Gun violence took an especially deadly toll in 2017. 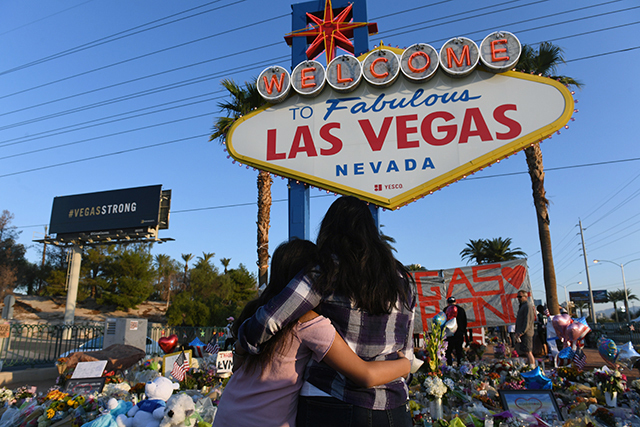 In October, a gunman in a Las Vegas hotel room opened fire on an open-air concert below, killing 58 people and injuring nearly 500 in the deadliest mass shooting in the country’s modern history. A month later, a man in rural Texas shot 26 people to death and injured 20 others as they attended a Sunday church service – the worst mass shooting in that state’s history. Earlier in the year, a gunman fired dozens of rounds at members of Congress, their staff members and others at a morning baseball practice. Severely injuring Rep. Steve Scalise, one of the highest-ranking members of the House of Representatives. The spate of attacks brought familiar calls for legislation to restrict access to guns. A survey the Center conducted in spring, before the shootings, found areas of agreement on some proposals, such as preventing the mentally ill from purchasing guns and requiring background checks for private gun sales and those at gun shows. More broadly, however, it shed light on the country’s complex relationship with guns. Fundamental divides between gun owners and non-gun owners and Democrats and Republicans. Three-quarters of Democrats and Democratic leaners said gun laws should be more strict. Only about a quarter of Republicans and Republican leaners (24%) agreed. While most Republicans (56%) said there would be less crime if more Americans owned guns, just 15% of Democrats shared that view. Large partisan gaps were evident across many of the issues the Center asked about in 2017, from Trump’s proposed border wall with Mexico to the threat posed by global climate change. One area that starkly divided public opinion was the investigation by special counsel Robert Mueller into alleged ties between Trump’s presidential campaign and Russia. The inquiry, launched in May, led to relatively minor criminal charges against four former members of the campaign, including its one-time chairman, Paul Manafort, unrelated to any alleged collusion. In a survey fielded in November and December, only about a quarter of Republicans and Republican leaners (26%) said Trump officials definitely or probably had improper contacts with Russia during the campaign. By contrast, about eight-in-ten Democrats and Democratic leaners (82%) said such contacts definitely or probably occurred. In some cases, partisan shifts in opinion were dramatic. 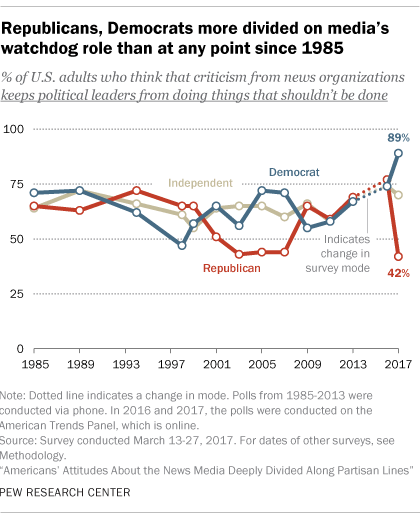 Amid Trump’s persistent criticisms of CNN and other media outlets as “fake news,” partisan differences regarding the press as a “watchdog” were wider than in more than three decades of Pew Research Center surveys. The federal government’s handling of natural disasters also became a charged partisan issue. Following Hurricane Maria, which caused widespread damage and loss of life in Puerto Rico, it became especially heated. In a survey late in the year, nearly nine-in-ten Republicans and Republican leaners (88%) said the federal government is doing a good job responding to natural disasters. Only about half (51%) of Democrats and Democratic leaners shared that view. In October 2015, there was only a 4-point gap between the parties on this question, with 82% of Democrats and 78% of Republicans saying the government does a good job handling natural disasters. Not all issues divided the country along partisan lines. Americans across the political spectrum expressed rising worry about North Korea’s nuclear program following a series of missile tests and an escalating war of words between President Trump and the North Korean leader, Kim Jong Un. Three-quarters of Americans said in October that they view North Korea’s nuclear program as a “major threat” to the U.S., up from 64% in January and as high a share as at any point since 2005. 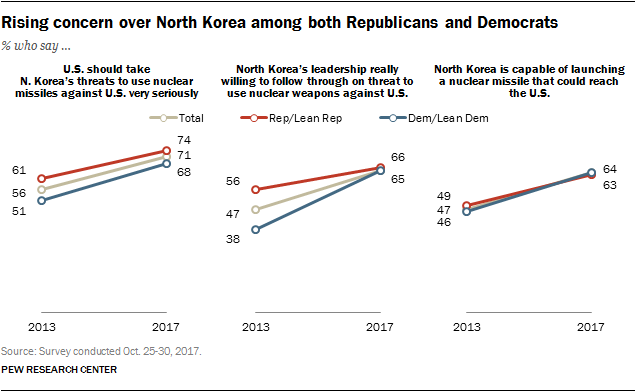 Majorities in both parties said the U.S. should take the North Korea’s threats very seriously and believed them willing to follow through on nuclear threats. Also believing that the North is capable of launching a missile that could reach the U.S. An overwhelming majority of Americans also said they believed Trump is “really willing” to use military force against North Korea. In both parties, majorities of Americans also agreed on some other perceived security threats facing the U.S., from cyberattacks to the Islamic State. ISIS/ISIL again claimed high-profile attacks in Manchester, England; Barcelona, Spain; and New York City. As 2017 draws to a close, some of the stories that defined the year will continue to unfold. There is little sign that the crisis in North Korea will disappear; nor do stories about sexual misconduct appear likely to subside, and the investigation into Russian involvement in the 2016 election continues. The Trump administration will push forward on its policy agenda, including decisions about immigration and the border wall. As 2018 arrives, Pew Research Center will be observing these and other important developments – and, as always, seeking to understand Americans’ views about the society they live in. Be the first to comment on "#MAGA to #MeToo: A Look at U.S. Public Opinion in 2017"